Transcendental Geometry from Contemporaneous will explore new music written with non-traditional tunings from around the world. While most of the music heard in the United States is created in “equal-temperament,” the system of tuning used by the modern piano, the program will explore the music of the broader world using entirely different pitches. Contemporaneous’s commitment to alternate tunings is particularly rare for a large ensemble. By commissioning and performing new works using non-Western tunings, Contemporaneous seeks to expand the vision for what music can be, down to the very notes themselves. The ensemble has commissioned three composers for this project, each approaching tuning from a different vantage point: Kyle Gann, whose writings on American microtonality are the seminal works in the genre; Shawn Jaeger, whose music intricately explores the beautiful precisions and imprecisions in rhythm and tuning in Appalachian hymnody; and Kristofer Svensson, whose music draws on both the tuning traditions of his native Sweden as well as his own stunning and whimsical invention. The evening will also feature the world premiere of the revised version of Katherine Balch’s New Geometry — a transcendent work which passes from microtonal intricacy to vast splendor. 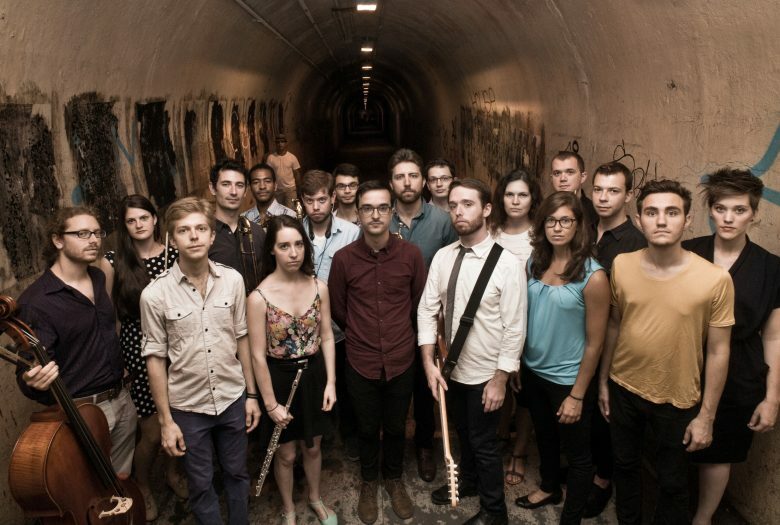 Contemporaneous is an ensemble of 21 musicians whose mission is to bring to life the music of now. Recognized for “ferocious, focused performance” by The New York Times and for its “passionate drive…setting an extremely high bar for other ensembles to live up to” by I Care If You Listen, Contemporaneous performs and promotes the most exciting work of living composers, with an emphasis on music by young and emerging artists, through innovative concerts, commissions, recordings, and educational programs.